If you have purchased a ClaroRead Chrome site licence (or you have ClaroRead Chrome as part of your Annual site licence) then you will want to push it out to your organisation’s Chromebooks. You can do this individually following the instructions on Installing Claro Chrome Apps and Extensions but this is only really useful for individual machines. Instead you can push ClaroRead Chrome out for installation across your whole Google Domain. This is a two-step process. First, install ClaroRead Chrome from the Chrome Web Store to your target Chromebooks using the Google Admin Console. 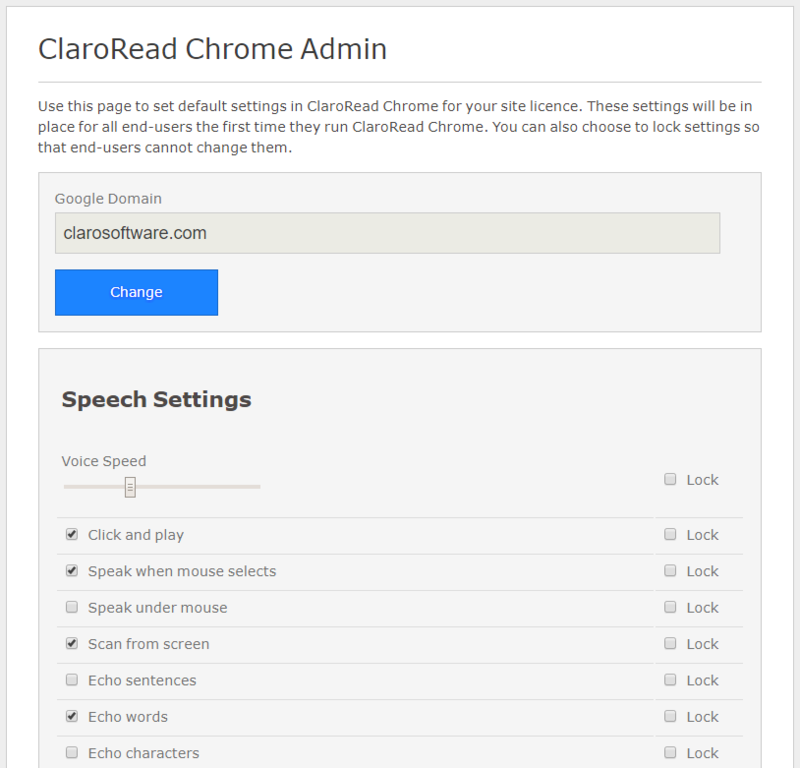 The basic ClaroRead Chrome is free so you can find it and install it easily. See Installing Claro Chrome Apps and Extensions for more details on this step. Second, log in to your ClaroRead Cloud account and tell us your Google Domain. You must have already entered your Claro Software licence key for you site licence. 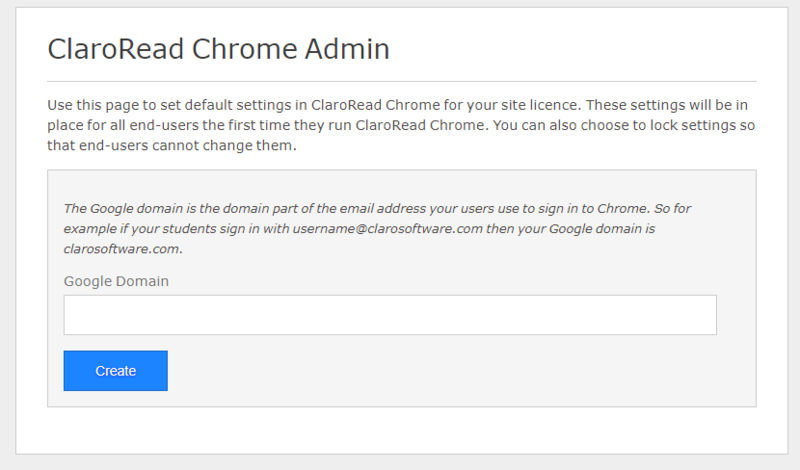 You will see a new option, ClaroRead Chrome Admin. Click to open the admin functions.